What I loved about Kim’s comment is it cuts right to the heart of a particular matter. It reminds us of something Richard Carlson, PhD spent his brief lifetime telling us, Don’t Sweat the Small Stuff…and it’s all small stuff. 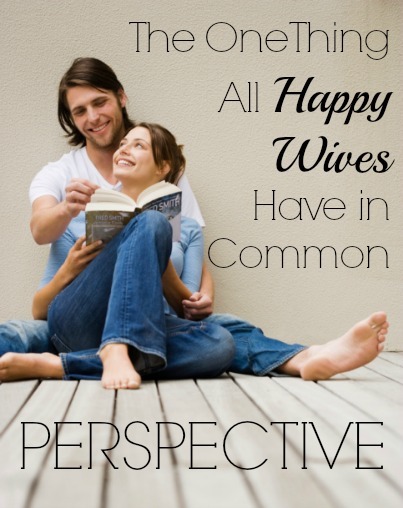 So, how is your marital perspective? 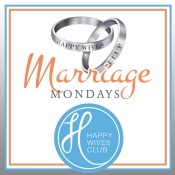 The Happy Wives Club is a community of close to 150,000 women in more than 100 countries around the world, and my conversations with thousands -literally, thousands- of them, has taught me one simple truth. Those who are genuinely happy all have this in common: Perspective. When Keith boarded a flight early Friday morning, there was little I cared about more than his safe return. No quirk, idiosyncrasy, flaw or fault of his could mean more to me than him coming home safely. And when he is home, I feel the same way. No flaw, quirk or difference will ever override my love, respect and adoration for this man I am honored to call my husband. There is a great quote by Maya Angelou, “If you don’t like something, change it. If you can’t change it, change your attitude. Don’t complain.” I learned long ago that nothing good comes from complaining. Nothing productive whatsoever. Good, however, always comes out of keeping everything in the proper perspective. It frees us to go after exactly what we desire most, to create our happily ever after through gratitude, and to not waste time on anything that will not matter in the end. 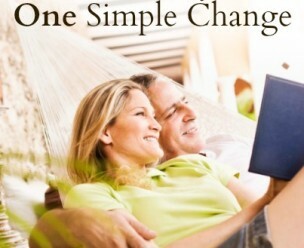 It allows us to solve problems with our spouse rather than against them. This, I am certain, my fellow happy wives and I have in common. And that is one of the many reasons I am so honored to be a member of this club. 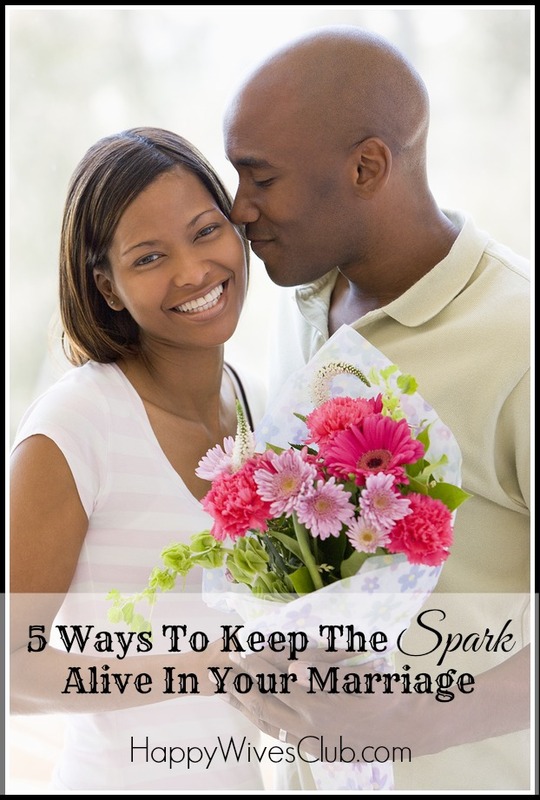 This entry was posted in Daily Marriage and tagged happily married, happy wives, how to become happily married, not desperate wives, not stepford wives, tips to become happily married on June 17, 2013 by Fawn Weaver. 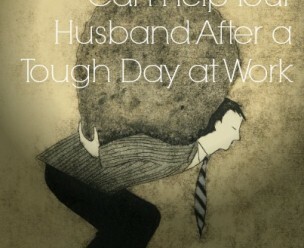 There is no denying our hubbies often have tough days at work. And these days, more so than ever before, their days are getting longer and more stressful. Even for those of us who work outside of the home, and have our own work-related challenges, our days tend to be less stressful. One reason is we know if we ever lost our job (or decided to make a career change), our husbands would move heaven and earth to make sure our families remained fed, clothed with roofs over our heads. We are nurturers by nature. They are protectors. It is those varying traits that allow us to best support one another. As a protector, one of the most wonderful things my husband does for me is keep the world at bay; he will only allow me to carry so much weight on my shoulders at one time. As a nurturer, one of the most loving things I do for him is to make sure he feels at rest and peace in our home. 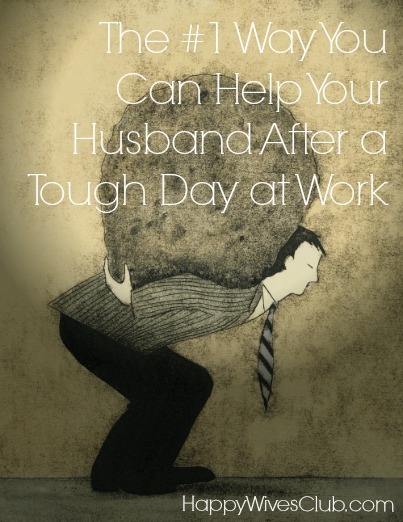 So what is the #1 way you can help your husband get over a difficult day on the job? No, I’m not insinuating the answer to that question is a secret. That is the answer. As women, most of us tend to be far more talkative than our male counterparts. It’s our nature. But oftentimes, the most loving thing we can do when our husbands have a difficult day is say nothing and just offer our arms as a place of refuge. I must admit, I’m still working on consistency in this area. A couple months before Keith and I were married in 2003, we visited a friend in San Antonio. While in the car she asked Keith a question I’ll never forget, “I just counted 6 times Fawn gave you unsolicited advice. Does that bother you?” Ouch. While I was grateful for his support in that moment, and thankful he didn’t seem to mind this subconscious action on my part, I also recognized this could potentially cause conflict years down the road. From that point forward, I made a concerted effort not to give him unsolicited advice. The beauty is, because he respects my opinion, he asks for it often. There is no person he trusts more than me and no opinion he esteems greater than mine. But here’s the key. When I know my hubby has had a tough day, I wait for him to ask. After a tough day on the job, what your husband often needs most is your warm embrace and silent understanding. You can ask him for more details about his day later, but for now, don’t be afraid of a little silence. 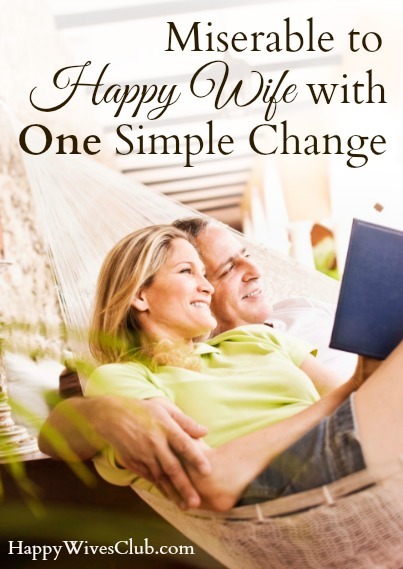 This entry was posted in Daily Marriage and tagged help your husband, how to become happily married, how to help your wife, how to love your husband, how to love your wife, link-up, link-up party, marriage mondays on June 12, 2013 by Fawn Weaver.